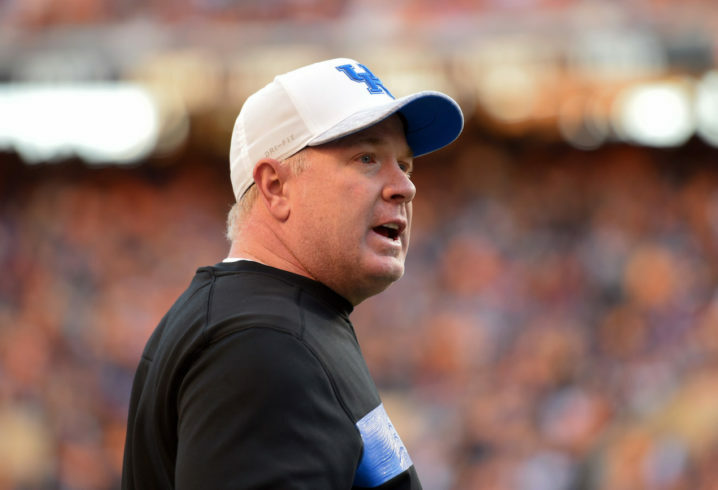 Mark Stoops wasn’t too pleased with Kentucky’s spring game. 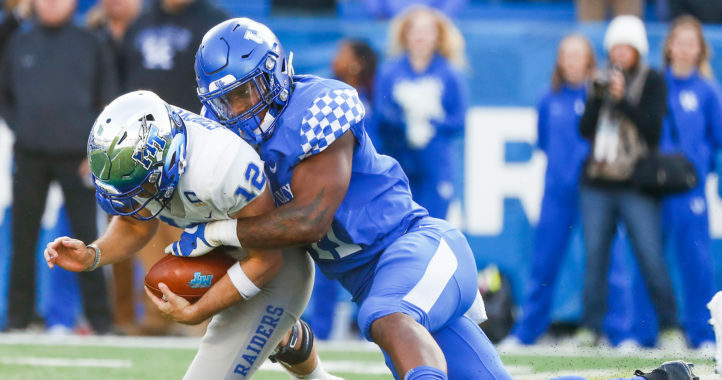 The Wildcats held their annual spring game Friday evening at Kroger Field, and Stoops wasn’t too happy with what he witnessed from some of his players. Kentucky’s second-team defense struggled in the first half against the first-team offense. Stoops also told ESPN just after halftime that he thought there was some effort issues. So, he challenged his group at halftime. ESPN’s Tom Luginbill caught up with Stoops following the game. Stoops went on to say that when teams are split up like that, one of them will end up short-handed. Luginbill then asked Stoops what the UK fans can expect from this year’s team. As a coach, it’s tough to grade the spring game. If the offense lights it up, it’s the defense the coach is worried about. If the defense dominates, it’s the offense the coach is worried about. Nonetheless, Stoops made sure to point out he wasn’t too pleased with some of the effort. What was funny was Hoax overthrow a pass on 3rd down and the camera immediately picked up Wilson see it and high 5 another player. Are you inferring the unity on the team might be a little lacking? That they all aren’t pulling for the best of the team? That the coaching staff hasn’t that bond of pulling for one another through thick and thin? Thanks for seeing it too. If Hoak transfers, we’re back to hoping we can win six games to get to a bowl. Both he and Touchdown Terry showed the ability to throw against the second string defense . Hoak also showed his ability to run on the first team defense. As long as nobody has a defense better than our SECOND team defenders, we’ll be FANTASTIC. If he transfers who’s the backup?